Travel is not just about beautiful landscapes and interesting sights and monuments; it’s also about the people that one meets along the way. 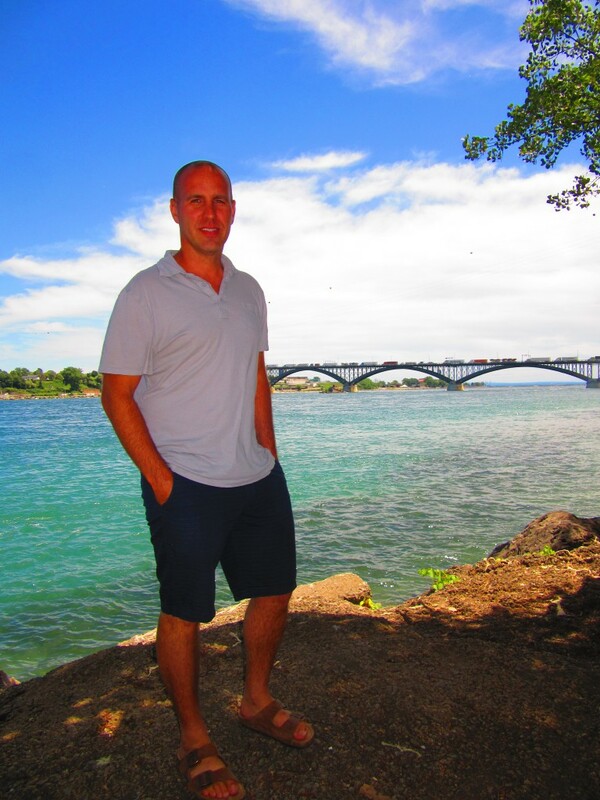 Since I started the Niagara Travel Guide I have met many interesting people from across the region, and one of the most remarkable individuals I have met is Jason Pizzicarola. 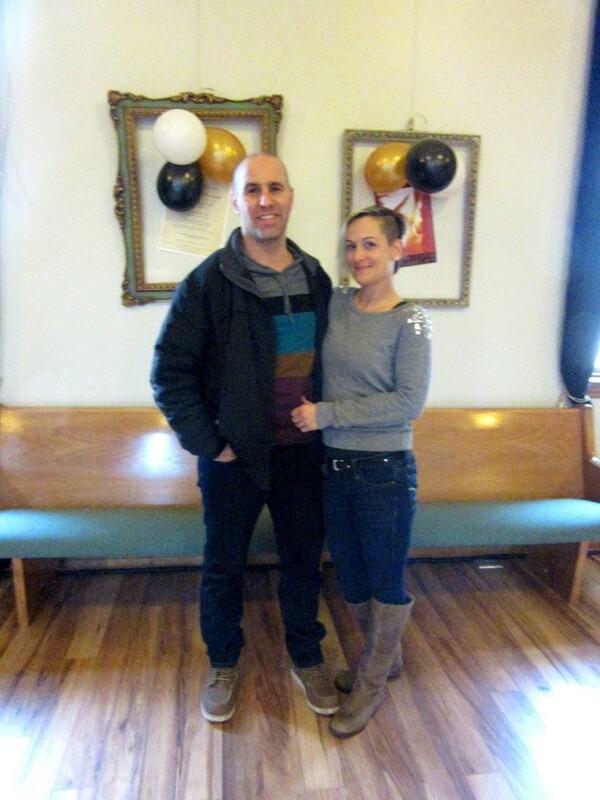 Born and raised on Fort Erie, Jason is an architect by training but he has also created the Sanctuary Centre for the Arts, a combination of art gallery and special event space, as well as performance and concert venue. Housed in a former church, the Sanctuary also has a craft brewery and a restaurant on site to quench the hunger and thirst of its visitors. 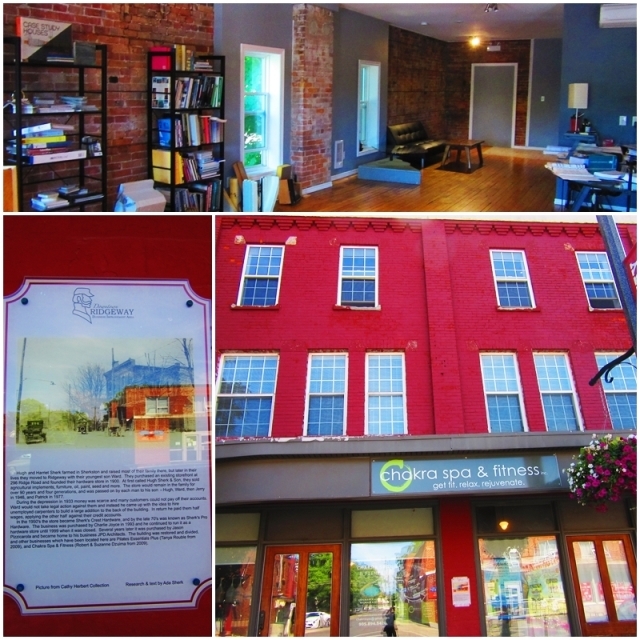 With his commitment to the local Ridgeway community and the surrounding town of Fort Erie, Jason has not only renovated and repurposed numerous historic buildings, he is also one of the key contributors to the revival of the Ridgeway area. 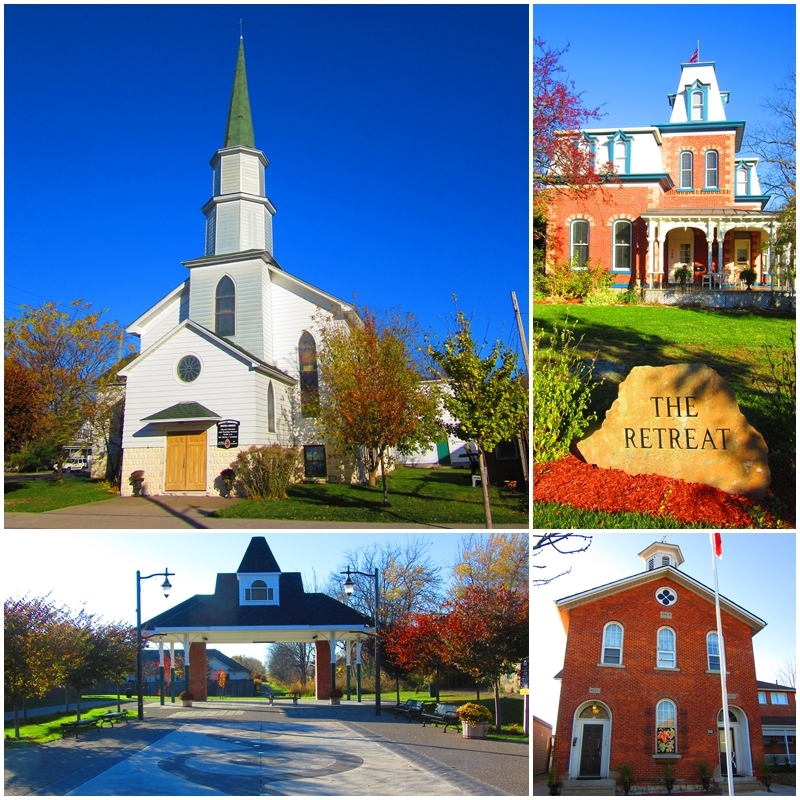 With his new Bell Tower Sanctuary project in the historic Bridgeburg neighbourhood, he is also doing his part in helping rejuvenate downtown Fort Erie. On a recent visit to Fort Erie, Jason and I spent four hours together and he showed me some of his favourite spots in town, and we enjoyed lunch at the local Ming Teh Restaurant with a gorgeous view of the Niagara River and the American city of Buffalo on the other side. Without further ado, let me present to you Jason Pizzicarola, one of the Niagara Region’s most creative entrepreneurs and community builders. Please tell us about yourself and your connection to Fort Erie. Born and raised in Fort Erie, I have a very strong connection to my home town. I grew up here throughout my childhood and adolescence until I moved to Toronto to attend university. All of my immediate family reside in Fort Erie and I have an incredible group of friends in town. My father was actually born in a small town outside of Rome and came to Canada at 11 years of age. My mother is part of the Willick family who have long had close ties to Fort Erie. I grew up right across from the hospital in Erie and went to school there; my sisters were born there too and are still living there. Even after travelling extensively and living outside of Canada, I always knew I would come back after experiencing travels. 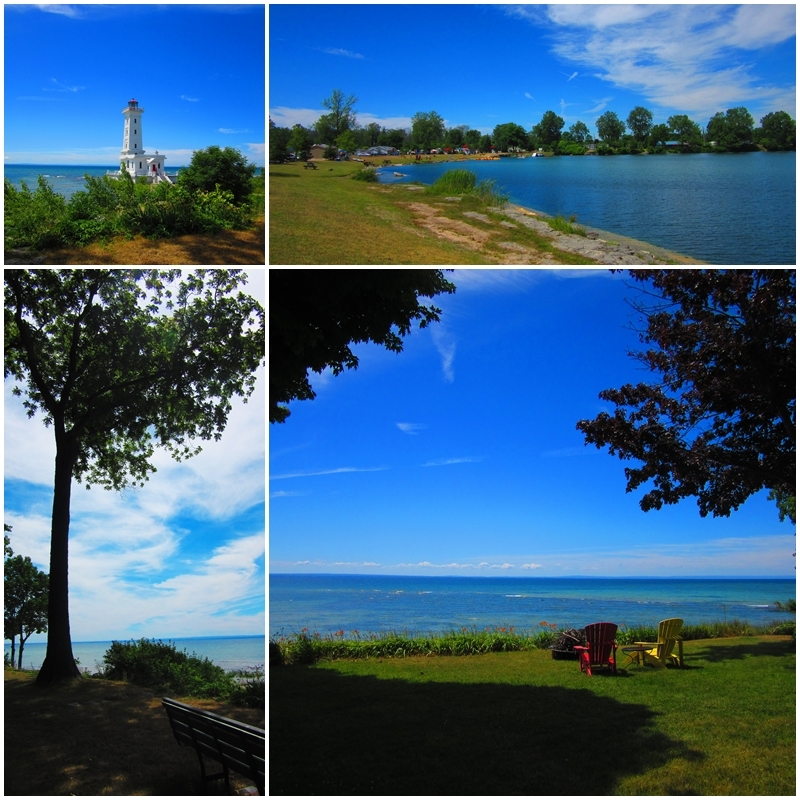 I have a strong connection to bodies of water and Fort Erie is surrounded by water. Fort Erie enjoys waterfronts on the Niagara River and Lake Erie. What about your educational background? And what brought about your connection to architecture and real estate? I attended elementary school in Fort Erie before going to high school in Port Colborne. After graduating I completed my degree at the University of Toronto – more specifically the Faculty of Architecture. To round out my knowledge I also completed one semester in Florence, one of the best cities to study classic architecture. My roommate and I lived in a beautiful old building with massive wooden doors and barrel vaulted ceilings close to the Santo Spirito Basilica. During this study abroad program through U of T we also did lots of travelling in Italy; we explored various wine-growing regions, spent time in medieval towns, and travelled to Cinqueterre, Capri and many other gorgeous places in Italy. This exposure to historic architecture has had a huge impact on me and my career in architecture. My connection with real estate started even earlier. My father used to work in a local factory but in his spare time he always purchased houses, fixed them up and rented them out or sold them. I got exposed to real estate very early in life. That really became the early foundation for my interest in architecture. You did some backpacking in your twenties. Where did your travels take you? You also met someone very special in Bali / Indonesia. Please tell us about that important encounter. 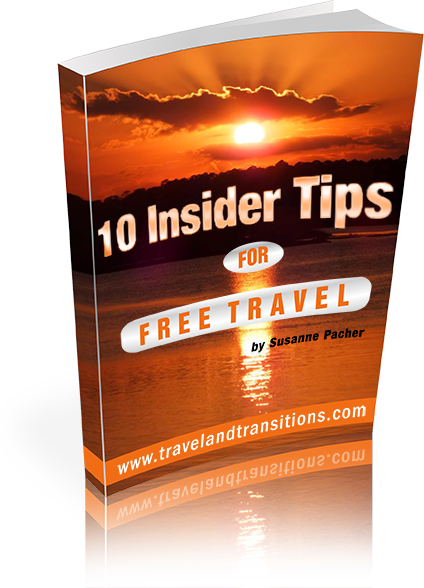 My first major backpacking trip was through most of Europe where I visited countless countries, starting in England, and continuing with the Netherlands, Denmark, Sweden, Germany, the Czech Republic, France, Switzerland, Italy and several Greek islands. I had always been very interested in contemporary architecture, but travelling to Europe kindled an interest in historic buildings. That’s probably why I started to buy old buildings in Canada and repurposing them for modern uses. When I travelled around the world I started to understand how the world works and realized that it is a pretty small place. On my second major trip I travelled to Europe, Egypt, Nepal then most of South East Asia and Australia.I stopped in Bali, Indonesia, where I indulged my love of water by enjoying the beaches, surfing and scuba diving. 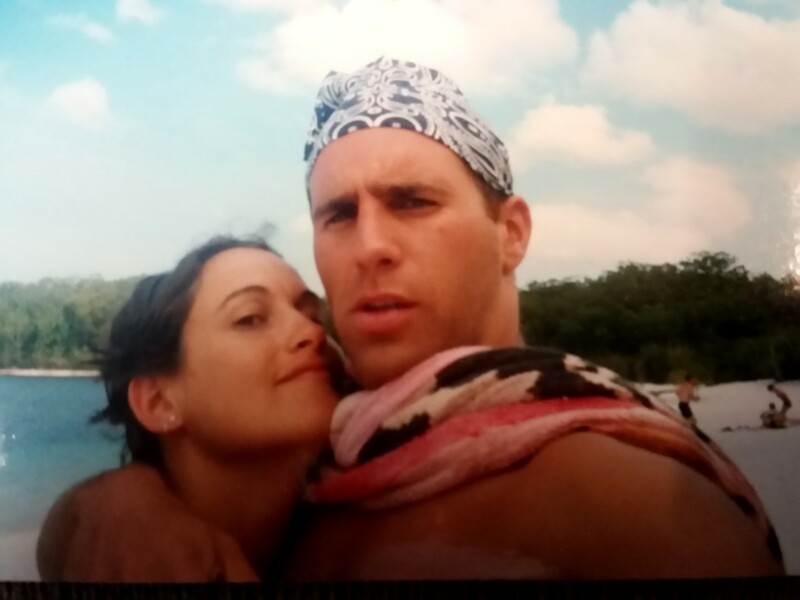 My trip to Bali in 2002 is also where I met my wife Nadine who originally hails from Kiel, Germany. We spent five days together hanging out and had a great time, and then we both had to move on to different destinations. As fate would have it, the place that we met at ended up being bombed roughly a week later. This was known as the Bali Bombings that killed 202 people in the tourist district of Kuta. After leaving Bali I moved to Australia and Nadine ended up visiting me for a few months while there. After Australia I moved back to Canada where Nadine and I had a long distance relationship for a few years while she finished up school in Germany. After school she moved to Canada and we now have two boys named Jonah (8) and Mikah (4). Today, Nadine handles all the bookings and the day-to-day management functions at the Sanctuary. You gained some work experience as an architect in different parts of the United States, please tell us about that. After graduating as an architect, in my mid twenties, I drove across the United States with a friend who had a job in California. I was planning to apply for architecture jobs along the way. We drove all the way to Palo Alto, California, where I got a job working for an architecture company that specialized in hospitality design. About a year and a half later I moved to San Francisco, into an apartment that was about a block away from the ocean. This allowed me to do a little surfing; the ocean is inspiring. In San Francisco I focussed on high end hospitality architecture and later corporate interior design. While there I explored California thoroughly and toured around with family and friends that visited. My favorite experiences in California mostly related to the coast; as mentioned earlier, I have a strong connection to water. I lived within a block of the ocean beach for the first part of my stay then rented a Victorian apartment in the Haight Ashbury overlooking the Panhandle. San Francisco is still my favorite city in the world. It has it all. One of the key insights I gained during my time in California was to look at architecture and how it relates to communities. While originally I was more interested in individual architects and iconic buildings I developed a sense of how architecture influences communities; community planning really started to fascinate me. This became evident later, after my return to Canada, during the development of the Sanctuary project. I asked myself how can I turn an old disused church into something that works for the community? What can the brewery do for this town and its potential as a tourist destination? After quitting your jobs in the United States you created your own architectural design firm. Please tell us more about your architectural design practice. 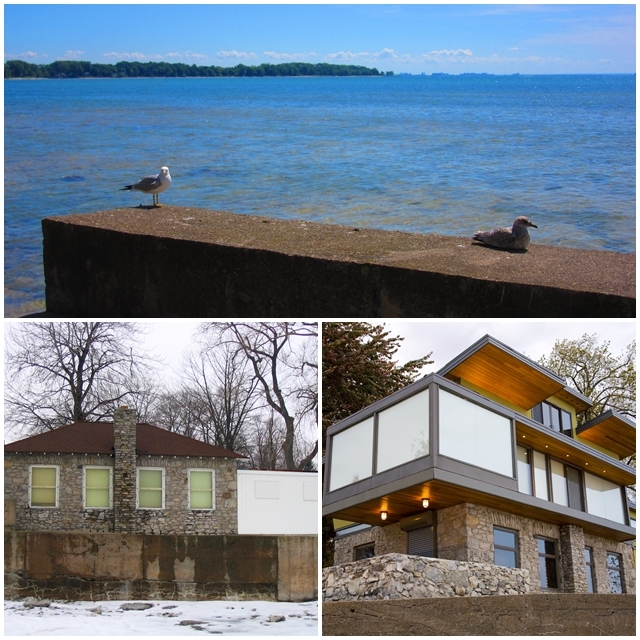 As an architect, I operate a small boutique design firm and construction company in Fort Erie. I intentionally stay small (5 to 6 staff) to remain involved in all of the projects. It is our mission to ensure our clients’ aspirations are met with creative, innovative solutions that are on schedule and budget. The success of our work is due to a close collaboration with our clients and consultants and our ability to impart exceptional service that continuously exceeds our client’s expectations. Every project we design has an extraordinarily high level of thought and detail incorporated in to it to ensure that the building best represents our client’s needs. The firm’s expertise encompasses all facets of design. We provide a complete range of consulting services including architecture, interior design and project management. We develop a project through all phases of design, documentation, specifications, tendering and construction. Services also include feasibility studies, diagnostic consulting and remediation design for failed or problematic buildings. Technology and design are important aspects of our practice. We utilize the most current systems and software to accurately and efficiently produce quality documents. This approach enables us to allow more time for real design and regular interaction with the people involved in the project. Please talk about the first historic property (the Sherk’s Hardware Building) that you bought and renovated in downtown Fort Erie. We’d also like to hear about the architectural features and the role of that building today. The Sherk’s Hardware Building has an interesting history. In 1900, a local farming family, Hugh and Harriet Sherk, moved from Sherkston to Ridgeway with their youngest son Ward. They purchased an existing storefront and founded their hardware store, selling agricultural implements, furniture, oil, paint see and more. Four generations of the family would run this store until it was sold outside of the family in 1993. The new owner continued to run it until 1999, at which point the hardware store closed. In 2008 I purchased 296 Ridge Road after we had purchased our home and settled in Ridgeway. 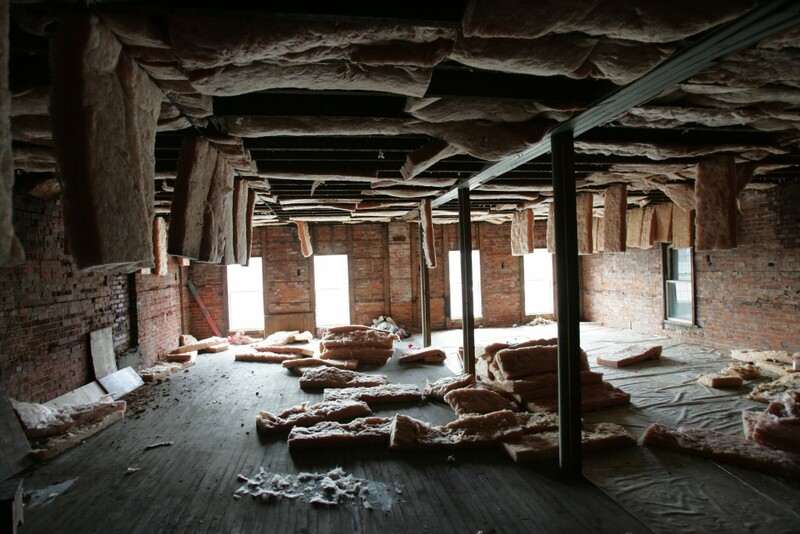 The Sherk’s Hardware Building was severely deteriorated; the roof had been open for months and the building was filled with water and mold. We had to dry out the building, complete numerous repairs and implement fire separation; altogether this process took about a year. While I was renovating it I already advertised it for tenants and the building was rented very quickly. After extensive renovations the building looks fabulous again with a very lofty feel. An exposed red brick wall and old growth wood floors are the highlights. My architectural firm, JPD Design, and three other businesses, Pilates Essentials Plus, Chakra Spa & Fitness and Ladyluck Photography, are located in this building today. Please tell us about your involvement in the community of Fort Erie. You also headed up one of the local merchants’ associations. Why is being involved in the community so important to you? Given my fondness for historic unique buildings, we decided to relocate to Ridgeway, a historic community in western Fort Erie, where, in 2006, we purchased the old Pump House. This former water pumping facility is over 100 years old and has a fascinating history: during Prohibition it was used for alcohol storage and it was also used as a cottage. The old Pump House is surrounded by water, and during our first year there a major winter storm covered the entire house with ice and we had to evacuate. The reason we moved to Ridgeway was that we enjoyed the historic feel of this community and we wanted to contribute to its growth and prosperity. We also wanted to help create a more interesting town and bring in people from other places to visit Ridgeway and Fort Erie. So a couple of years later we purchased the Sherk’s Hardware Building at 296 Ridge Road because it was the largest building in town and it needed to be restored. We redeveloped it and moved in some new tenants. I became the Chair of the Ridgeway Business Improvement Association when I purchased 296 Ridge Road and started working with the businesses and developing our town. We needed a draw for the downtown area and create a hub of activity focused on the arts. My thinking was that if we can appeal to our locals and draw visitors in from out of town then people will become engaged in their community and care for it. My goal was to bring in people from out of town to help our local businesses survive. This was really the underlying thought that led to the creation of the Sanctuary Centre for the Arts.What you put into a community is what you will get out of a community. We want our boys to be raised in a nice close community that provides them with local opportunities. 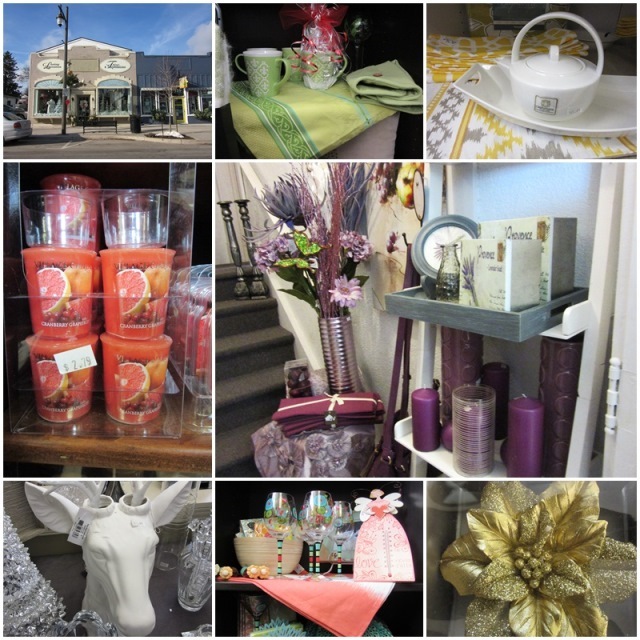 Ridgeway has many different shops and businesses on its main street. In part 2 of this interview we will focus on Jason’s two big multi-faceted projects – the Sanctuary Centre for the Arts and his most recent project, the Bell Tower Sanctuary, both of which have become important cultural institutions in Fort Erie.